Chad: So, Dreama, tell us how you got into the trail running/fitness world. Dreama: I actually have a degree in Interior Design, and I practiced that for many years. It was a tough market. I was in the commercial end of things, so I worked designing office furniture. I would go in, sell the job, design the job, make sure the job was installed, and then when the market crashed, Trey (Dreama’s husband) and I decided that it was not feasible for me to continue on that path. Chad: That was in 2008 or so? Dreama: Yes. So everything was my own expense. I knew that I wanted to get into fitness somehow, so I went ahead and got my certification as a personal trainer. Through that, I got into the “run” end of things. I had a big following as a run coach, and here I am today. I hold probably 13-14 certifications in the personal trainer world, from senior to child, group fitness to spin to regular ol’ personal trainer. I’m also an assistant coach cross-country at Baylor. Chad: So the job change happened in 2008, but how long has your personal physical fitness journey been happening? Dreama: I got into it in my late twenties, about 28 or 29 and had a life-altering situation: I was diagnosed with cervical cancer. So, I made a positive health change and big changes, like turned my life over. I mean, I changed everything. That was about 2001, maybe. I started getting into cycling and running; I had never previously run that much before. Running became a new thing for me. Chad: So, speaking of changes; making the transition from road running to trail running — what was that like? 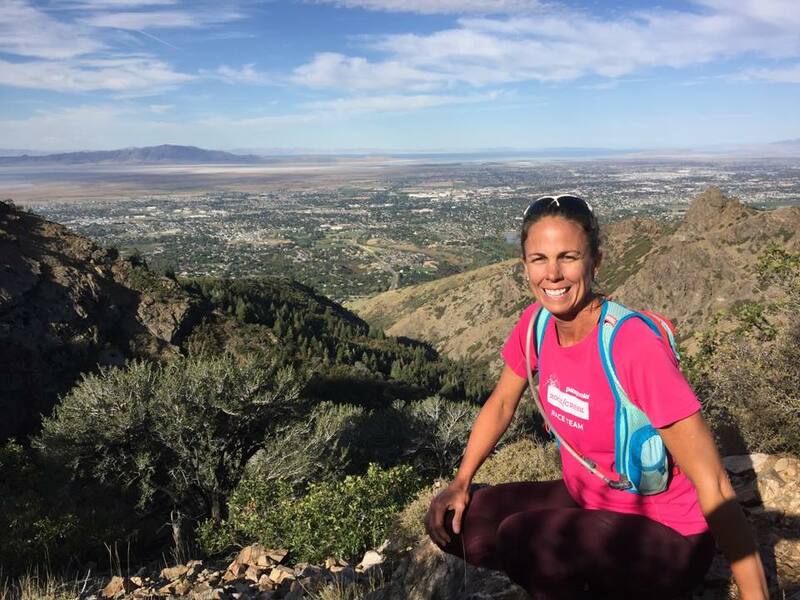 Dreama: About 2004, my good friend Michelle Meek (former R/C employee) said, “Hey, there’s this trail race coming up, River Gorge, and I’m gonna do it. You should do it with me.” I had never run on trails before, and I just said, “Ok!” So that was my first trail race. There wasn’t much of a trail community then. Joey Howe, who works at Fast Break, and I started exploring the trails, and we were amazed that no one was out there. We were running stuff up north of Chatt that didn’t even have trails, they were just ribbons. Every weekend we would explore somewhere new, and it became this great adventure. Chad: Through that, did you find some of your favorite trails in the area? Dreama: On yeah, those sections on the Cumberland, the Rock Creek and Soddy Gorge are some of the hardest, most technical, yet the most diverse trail systems in the area. I fell in love with them before they were even built, before the bridges were built. Before all of those bridges over Soddy, Possum Creek, Deep Creek, and the Rock Creek segment, we would literally have to get chest-deep in the water, if the water was passable on that given day. Dreama and husband Trey on the Cumberland Trail. Chad: Over the years, you’ve been a prolific figure for Rock/Creek runs and races, tell us what volunteerism does for the running community. Dreama: For me, it’s giving back, and it’s showing others a way. When I first started my group runs, people would come because they wanted the adventure. It was so cool to show people things they’d never seen and share that with them. I do it for others, because like I said, I want them to experience everything that I’ve been able to experience: physically, emotionally, spiritually. It’s been a huge impact on who I am today. Running is a spiritual thing for me. That’s why I love Rock/Creek. You guys share a vision, and you’re connected with the outdoors. Dawson: You received a reward recently for volunteering? Dreama: Oh, I think from the Southeastern Youth Corps? That was it. It was Trail Ambassador. Chad: How has chattanooga outdoor recreation changes since the mayor (Bob Corker) called chattanooga “The Boulder of the East” in 2005? Dreama: There are more trails, both bike and run singletrack. That’s great. But you don’t feel like you have them to yourself anymore. You’re going to see someone out there, be it a hiker, runner, biker, where that didn’t used to be the case. The interest level has risen, which is a positive creating a negative. Dawson: Where are the barriers to entry in trail running? Dreama: The safety factor of leaving your car somewhere is still a concern; I always tell people to get anything valuable out of sight. That’s definitely a concern. Also, people not knowing where they should go. The main questions are, “Where should I go?” and “Is this trail going to be ok with me?” A lot of road runners are just fine on Stringer’s Ridge. It’s hilly, but it’s not technical. Dawson: Especially around Chattanooga because much of the land isn’t owned by one group. Much of it is state, federal, private or non-profit land — it’s no Smoky Mountains where you can go buy one map. Dreama: Now the Cumberland Trail, their website has come a long way as a resource, but Lookout Mountain? Try to find those trails. It would be so confusing by yourself. Dawson: So how are the barriers to entry different for men and women? Dreama: I think the “what-ifs” get to women. Not mine, but there is a fear there, sure. That, “What if I see a snake?” question doesn’t really bother me personally, but that and bugs bother women in my running groups. I think it’s different for everybody. I’m not exactly “modest” when it comes to using the bathroom on the trail, where my husband, Trey, would absolutely die if anyone saw him peeing out there. Group photo of the 2015 Women’s Trail Running Summit sponsored by The North Face. Chad: So let’s talk about Chattanooga’s four seasons: snake, yellow jacket, horsefly, and spider; what’s your favorite season? Dreama: Well I think it’s cool to see snakes, Trey thinks I’m crazy, but I like to stop and watch it. I’d have to say spring, especially when the trillium’s blooming. Chad: It doesn’t last long, but it changes the whole forest. So what’s the motivation for you? Why do you take people out? Dreama: When you can take someone to a waterfall or an overlook and see the look on their face and share that experience with them, that’s what it’s about. Dreama: I don’t miss any opportunities to stop at creeks or overlooks or to stop and take a picture. I’m not out there to run as fast as I can and kill myself; I’m out there because I want to see stuff. It’s not about how fast I can do it for me. Dawson: Talk about your family and your training over the years. I know your son and your husband participate and it’s become a family event at this point. Dreama: My son’s been going since he was 4. When he was 4, we hiked down into Havasu Falls (Grand Canyon), and he did the whole thing himself. He’s always been active, so we’ve found the outlet for that. He did his first trail marathon in May. Dreama and her son on Mt. LeConte. Dawson: Well his “normal” is being with his mom and dad at age 13, being in the woods all day without watching a cell phone is not what every kid his age is doing. This is a whole lifestyle for you guys, right? Dreama: Trey always tells me that I have set the bar high; he is very driven and very goal-oriented. So I feel like we did something right there. He really doesn’t have to care what the other kids are doing; he knows what he has to do. Dawson: If you could give one piece of advice to someone who wants to be more active than they already are, what would it be? Dreama: Well, everyone’s goals are different. I have clients that have gone from using a walker to walking miles a day, from having trouble gardening to running actively. If you say you want to get ready for a 50k, I can help with that. But you have to know your goals. Dawson: That may be why we get along so well with you, because here at Rock/Creek, we don’t want to quantify adventure, just like you don’t quantify personal success.